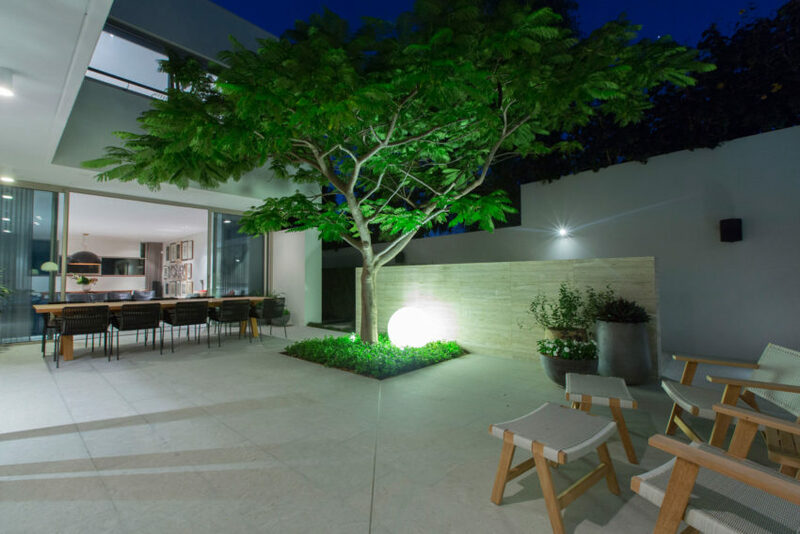 Natural Architecture is a project completed by Tim Davies Landscaping. 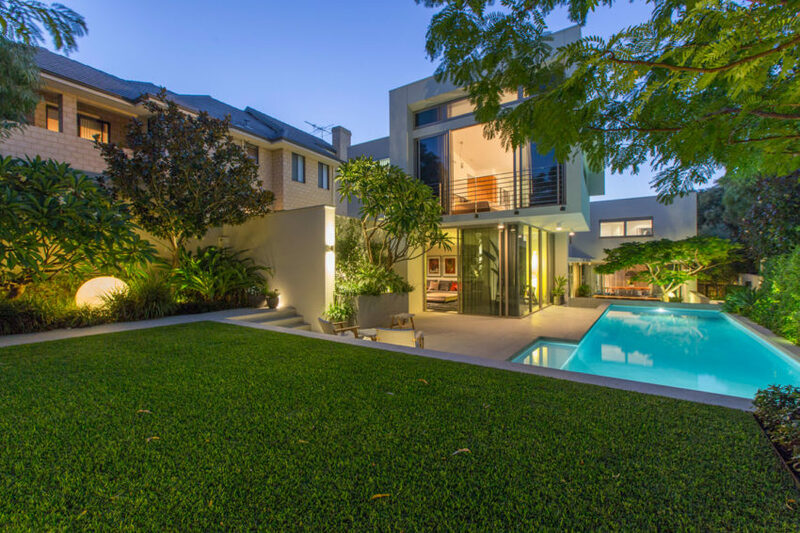 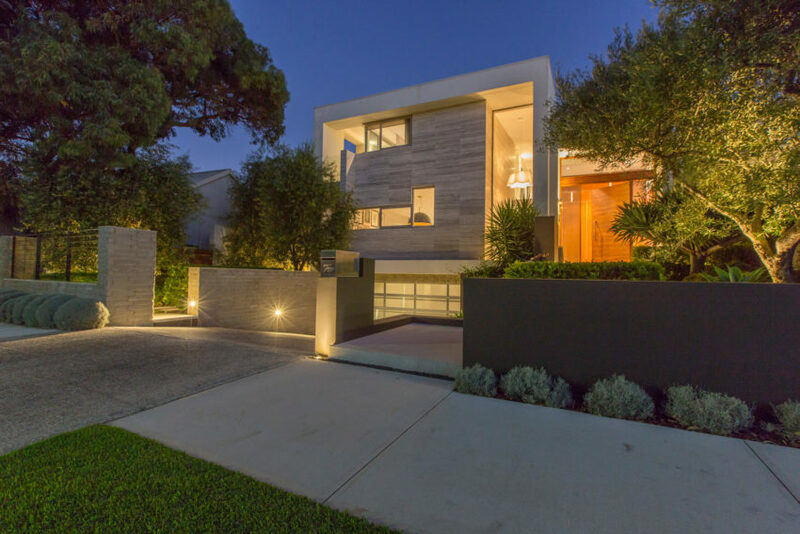 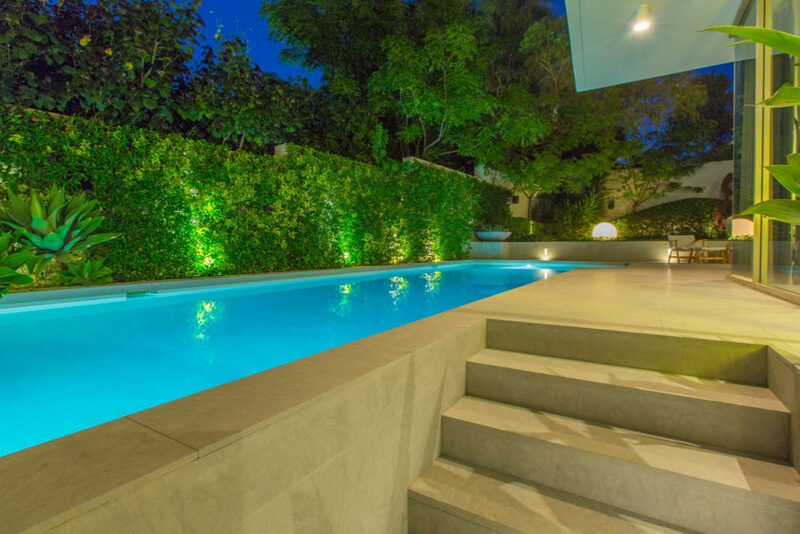 “A mature yet architectural backyard was required to soften the ultra-mod lines of this brand new City Beach abode; one that the team from Tim Davies Landscaping (TDL) mastered by sourcing mature plantings, manipulating walkways and highlighting sculptural elements. 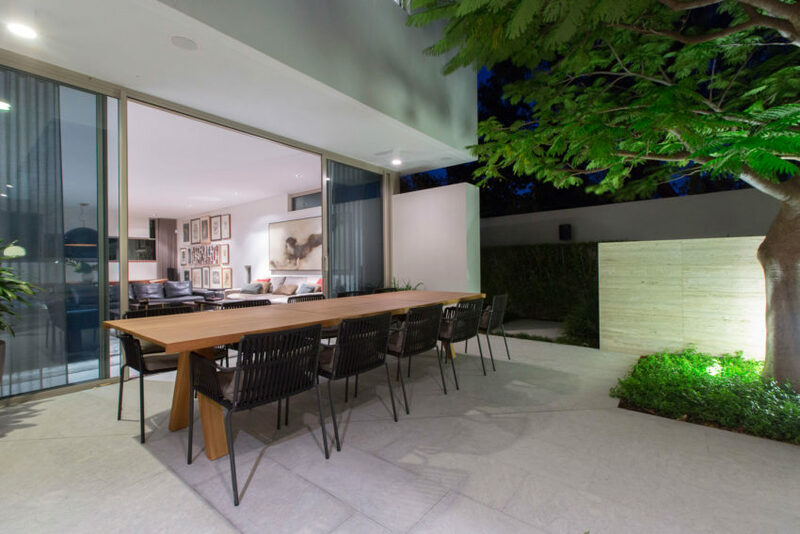 “The client wanted a mature garden which provided instant impact and softened the minimal, modern architecture of the house and the large outdoor spaces that it created,” TDL landscape designer Tim Davies said. 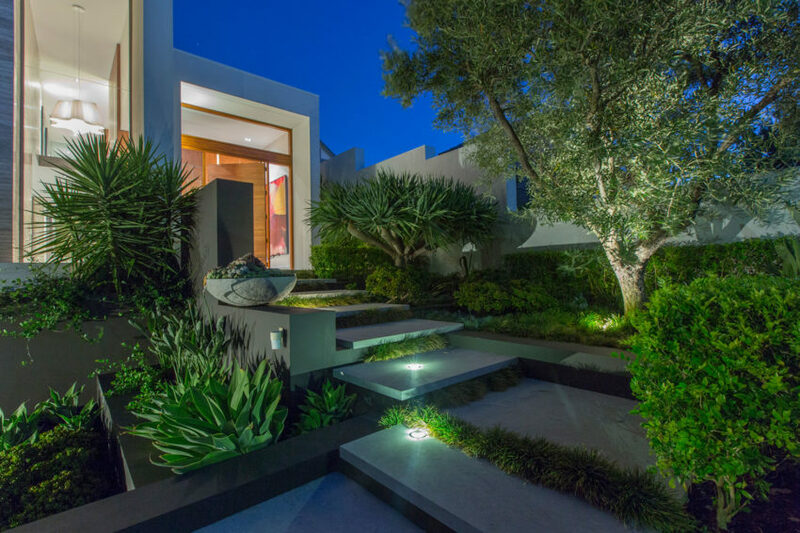 Natural plantings were just as important as the hardscaping in creating form and function for the architectural design. 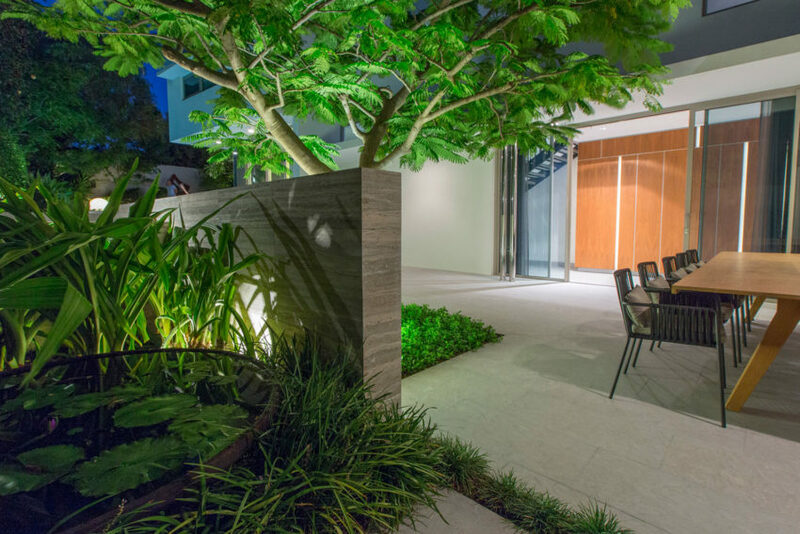 “The sourcing of mature tree and plant species was a major factor in creating the feel of an established garden overnight and clear and constant communication with the client regarding plant species ensured the right selection for each space was made,” Mr Davies said. 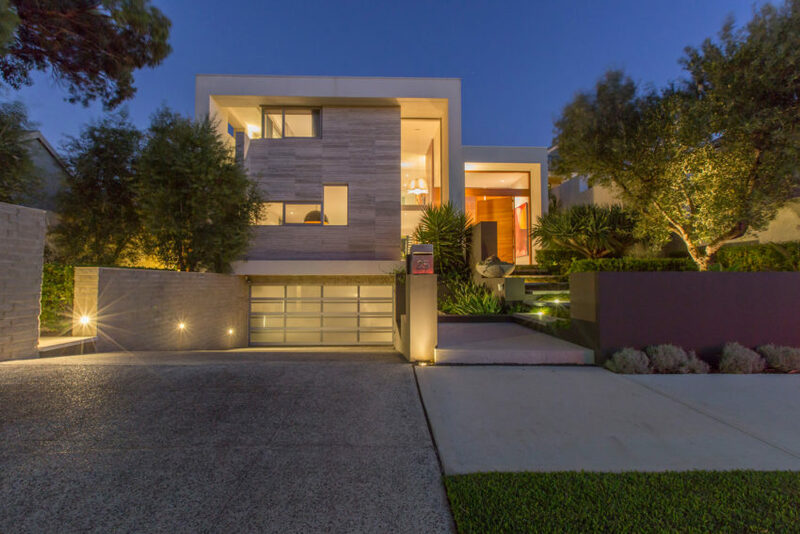 Chindarsi Architects designed the home and chose Bateig Azul Spanish Sandstone from Forezzi Pty Ltd for the exterior flooring. 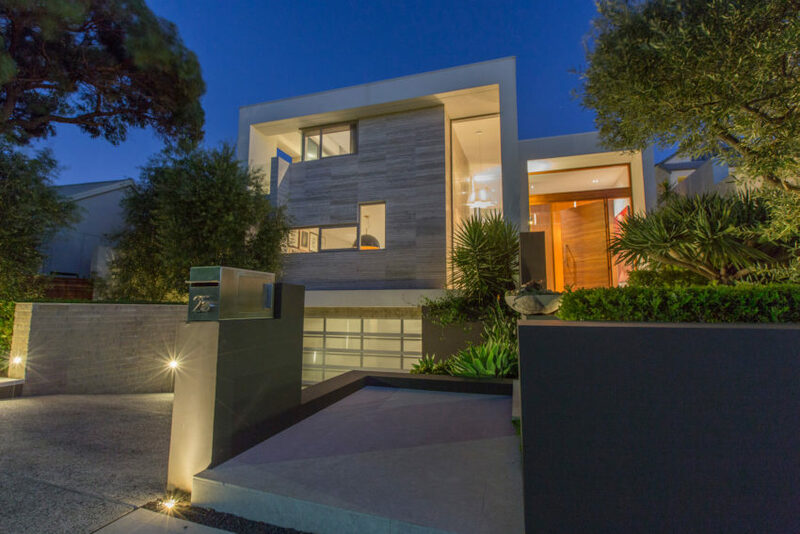 The stone has been manipulated in platform steps leading up to the front entrance, flanked by abstract rendered garden beds for dimension. 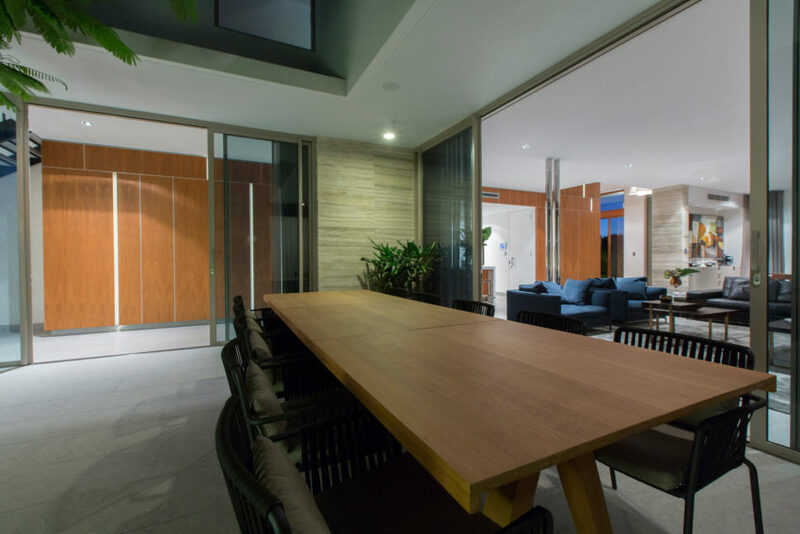 On the left of the home, a private walkway leads toward the central feature courtyard. 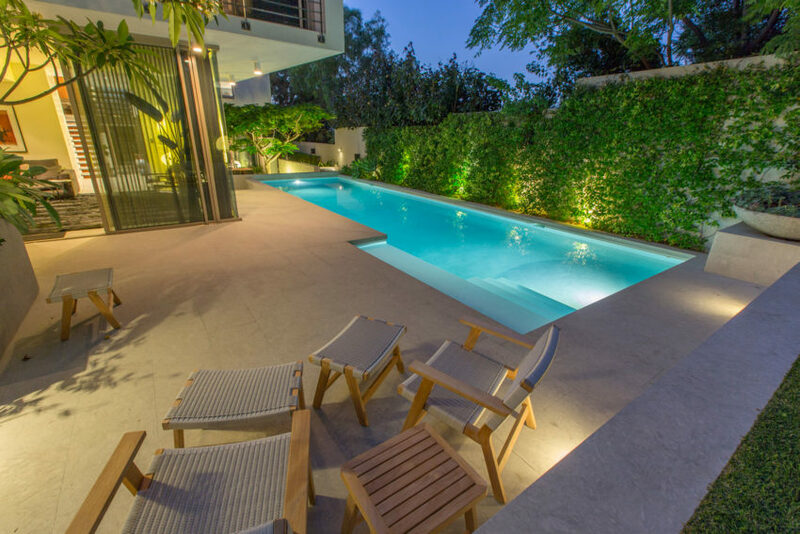 It has tiered garden beds and stone slabs enhanced with garden lighting, notably feature light spheres designed and installed by TDL. 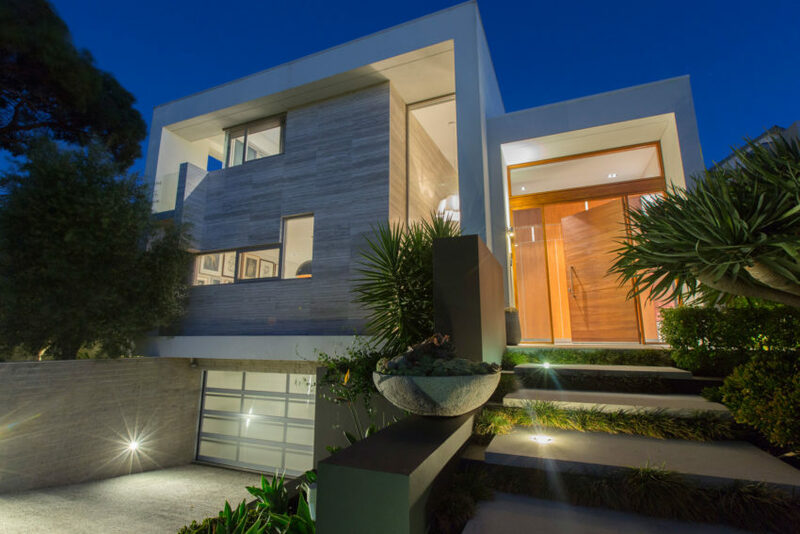 These are repeated around the entire design for a unique take on illumination. 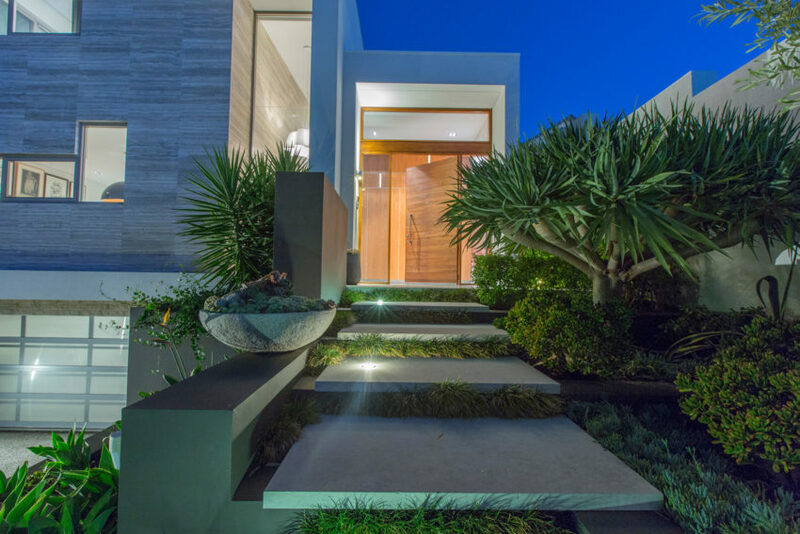 Custom graphite granite bowls and planters are also spotted throughout including one filled with succulents under a sprawling Frangipani and another in the courtyard filled with water and riverstones. 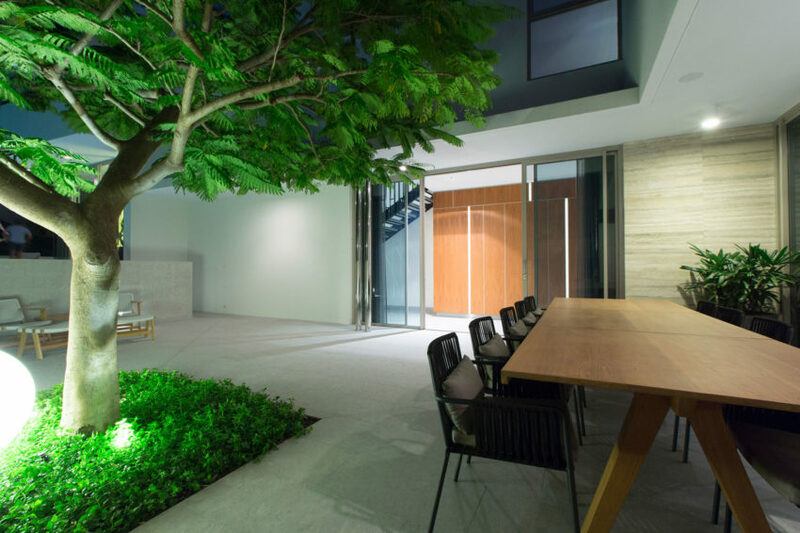 “Ornamentation was used to tie in with the materials used by the architect and provide points of interest throughout the garden,” Mr Davies said. 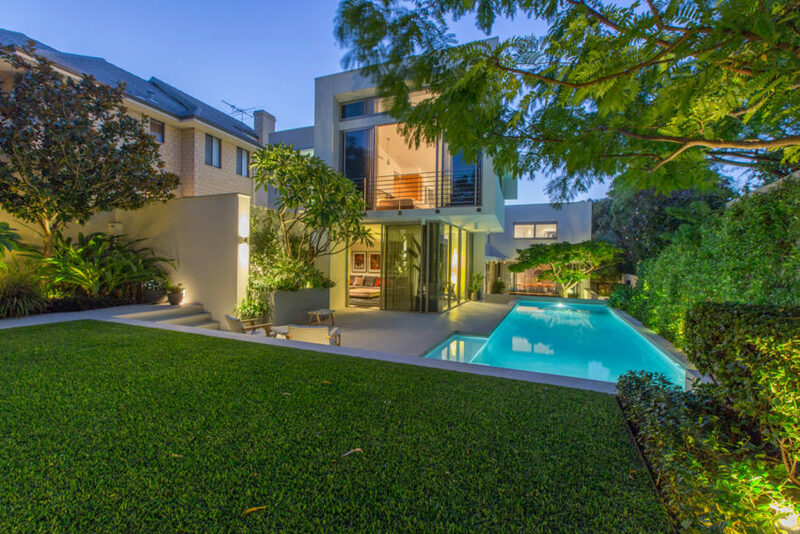 The pool was also designed by the architect, bordered by swathes of sandstone and a grassed area, which is topped with a contemporary sculpture designed and built by artist Tim McFarlane Reid. 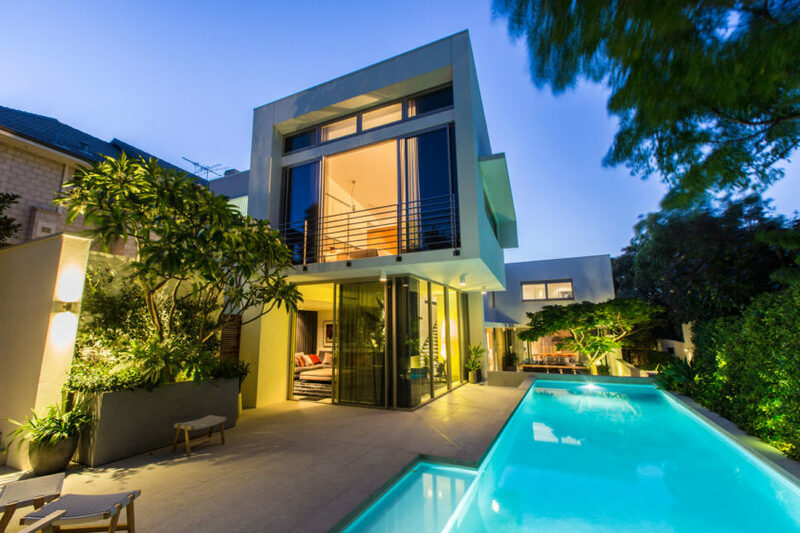 Mr Davies described the landscape as minimal and contemporary; combining high quality finishes with lush, mature planting.